Help is on the Way - he morning of December 3, 1950, off the North Korean coast . 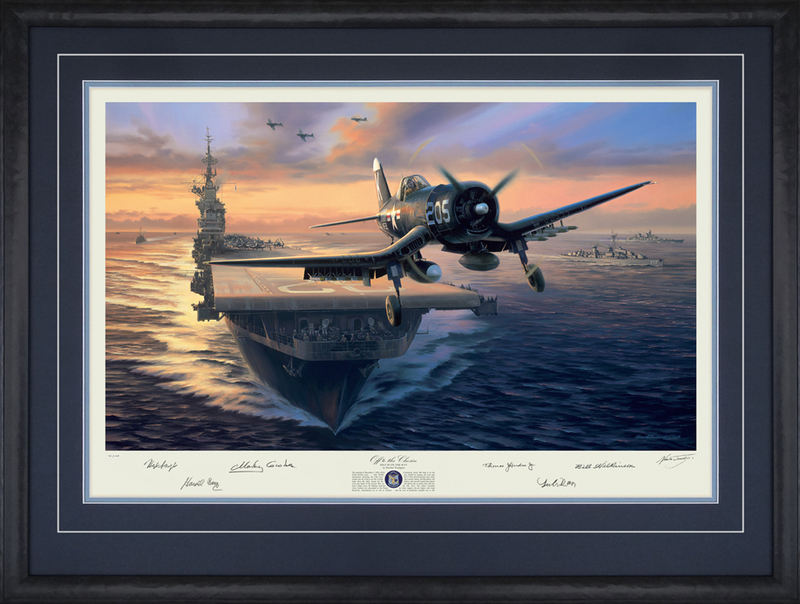 . . with 150,000 horsepower churning, the USS Leyte steams into the wind as a Corsair piloted by Lt. Tom Hudner leaps from the deck, bound for the most dire battle of the Korean War. An hour’’’’’’’’s flight away, the Marines and their Army brethren are surrounded at the Chosin Reservoir, outnumbered ten to one by Chinese Communist troops. But help is on the way. Fueled by urgency, the Leyte and the 7th Fleet steer toward the coast. After the Corsairs launch, AD Skyraiders will follow, and soon all twenty-four planes will deliver the air strikes that will turn the tide. 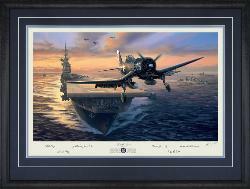 Now, with sailors watching in silent support, the air tingles with hope and the roar of propellers—Another one is off!